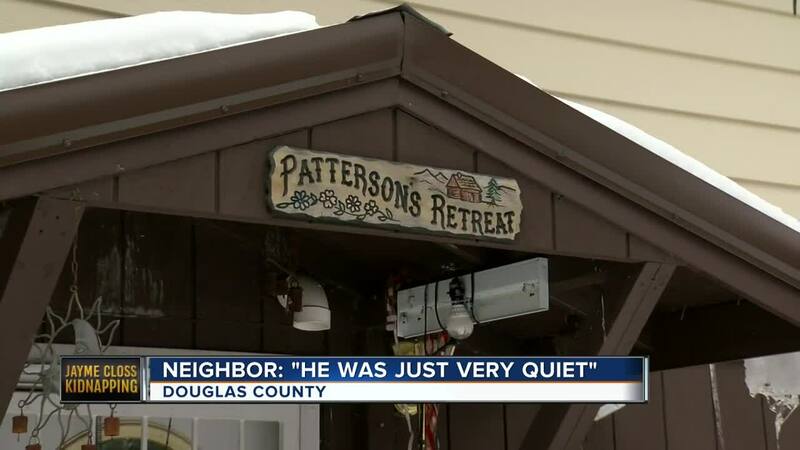 Neighbors call Jake Patterson "Very quiet"
Authorities are deciding what to do with a $50,000 reward for information about 13-year-old Jayme Closs, the Wisconsin girl who was found alive nearly three months after authorities say she was abducted from her home and her parents killed by an intruder. Milwaukee FBI spokesman Leonard Peace said Tuesday that the reward remains under review. Barron County Sheriff Chris Fitzgerald says the reward is being discussed with the FBI and will be determined later. The FBI offered a $25,000 reward on Oct. 24 for information about Jayme's whereabouts. The Jennie-O Turkey Store, where James and Denise Closs worked, later doubled the amount to $50,000. Jayme was discovered Thursday by a woman walking her dog near the small northwestern Wisconsin town of Gordon, 60 miles (100 kilometers) away from her hometown of Barron. The woman, Jeanne Nutter, took Jayme to the home of Peter and Kristin Kasinskas, who called 911. Peter Kasinskas told The Associated Press on Tuesday that the couple does not want the reward. He says if anyone gets it, Jayme should because "She got herself out." Authorities arrested and charged a 21-year-old man in her abduction and her parents' deaths.